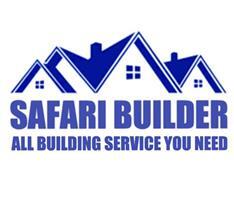 Safari Builders - Builder based in Bournemouth, Dorset. Hi welcome to Safari builders, my name is Mehdi and my experience in the building industry spans over 15 years. It is my personal duty of care to make sure that your project runs smoothly . We take great pride in all our work and always make sure to keep customers completely satisfied with our services. Our work is fully insured comes completely guaranteed .